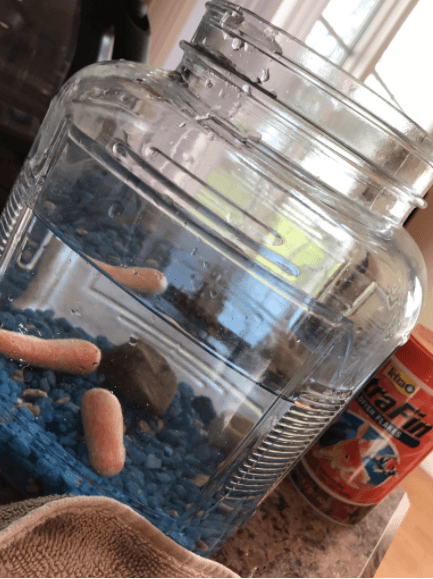 Guy pranks his sister by replacing her pet goldfish with vegetables. She doesn't notice. 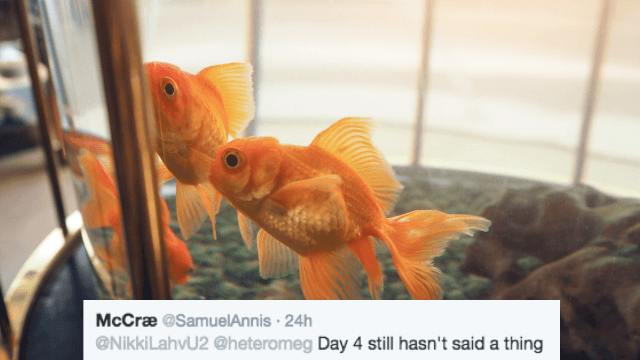 Here's a story that makes me grateful to be an only child: Twitter user Samuel McCrae decided to pull a prank on his sister four days ago by stealing her pet goldfish and replacing them with carrots. This is pretty hilarious, for everyone except the sister. Because she still hasn't noticed. McCrae posted a photo of the switch on Twitter, where it has gone viral. Here are the photos for comparison. Twitter is waiting with baited breath for the sister to catch on. @heteromeg I need another update. She is not catching on. So either these were some very inert, carrot-like goldfish. Or she's a bad fish owner. Probably the latter. 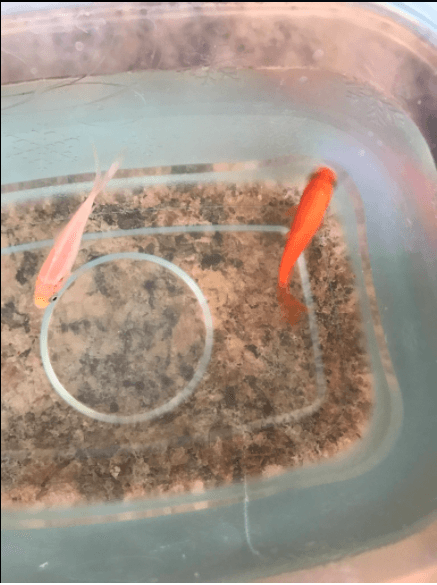 People on Twitter are mad at the sister, and concerned for the fish. But McCrae assures us not only are they safe—they are living in luxury. Nice home AND they get to eat?? This does seem like a much better environment for fish than that measly jug. It's almost like this guy is playing a "prank" on his sister to cover up his empathy for animals.